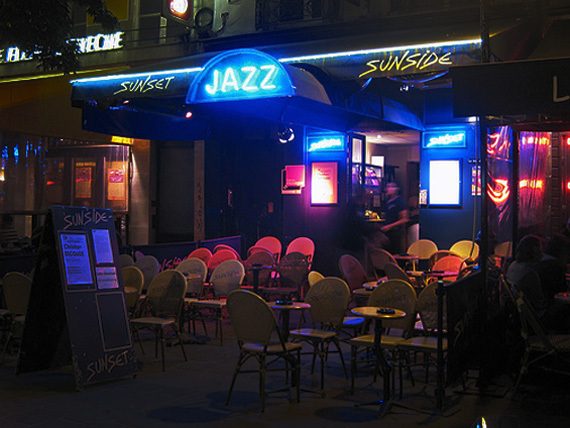 Sunset Sunside Jazz Club is a unique and well-respected little place in the heart of Paris. Jazz fans get two clubs in one, catering for a myriad of tastes. The Sunset, basically downstairs, began in 1983 performing electric jazz and fusion concerts. Sunside, beginning in 2001, leans more towards the acoustic spectrum. Both are in the same complex and both play to host to some of the best European jazz there is today. It’s been a favourite amongst jazz legends like Miles Davis and Herbie Hancock, who arrived one evening noting the generous and friendly environment. Others who have played here include post bopper Brad Mehldau, Kenny Barron, the Grammy winning Kurt Elling, Terry Callier, the cool jazz master Lee Konitz, Benny Golson…it is truly one of those places that any jazz musician playing in Europe, will have on their venue list. Check out another great neighbour, Les Duc des Lombards, situated almost next door. INFO: Depending on which club you go to, performances begin around 8.30pm - 9pm, 7 days a week. Best nights to go are Fridays and Saturdays but get in early as it will get packed.